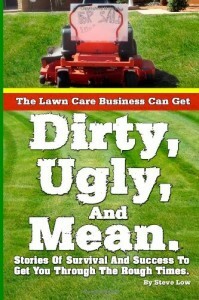 « Annoying lawn care customer interactions. 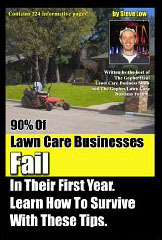 A new twist on an old lawn care marketing idea. There is always this rush to offer mowing services for cheaper. 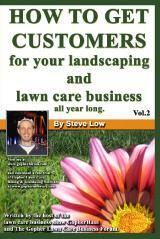 To give away landscape services in hopes of attracting more customers, more quickly. Does any of this work? Is it worthwhile to consider? 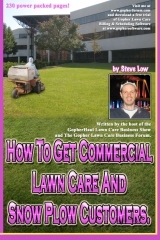 That is a discussion which was had on the Gopher Lawn Care Business Forum. Some veterans of the industry shared with us their experiences of such marketing methods and let us know if they were worthwhile to try. 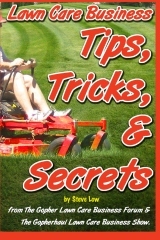 One lawn care business owner wrote “I got a little idea I’ve come up with to gain new mowing customers with hope’s of receiving some feedback on how you think it may work. 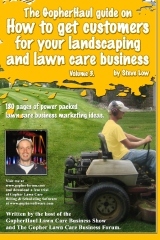 This idea stems from buying other lawn care companies out with a twist. 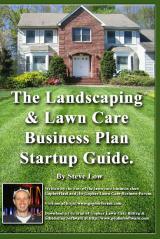 I’ve extended an offer to almost every person I know to tell their family, friends, coworkers, and anyone they hear speaking about lawn care service. 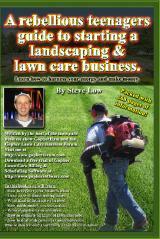 The people I’ve extended this offer simply tell others my number and that I do quality lawn care nothing else. If the person calls and I pick the yard up as a regular cut, I will pay my person 1 month’s of mowing for this said property. I think by offering this payment I could really get a lot of people talking to friends and family about my business and passing on my name. what do you guys think about this? 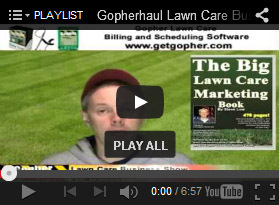 A second lawn care business owner responded “If you like gambling, that’s the way to go. I believe this is a good marketing technique, but risky, this will only work with your very established clientele. The ones, that have been with you for over a year. Those that need you and like you, you know who they are, those are the one’s that deserved incentives like this. A third shared “it sounds like double the work for half the money and if you had a big push in business as a result, it might get costly and become very unprofitable. 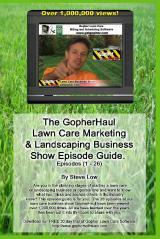 What happens if you got 25 new lawns to mow from it? You would have 50 lawns to cut and they might be scattered around the county. 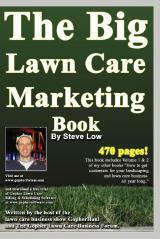 Sometimes people get lucky, but the lawn business is a marathon to get clients and not a horse race. If you truly want to do it and are prepared to make the sacrifice, you have to be able to wait it out. I’d suggest you provide great quality work. Make no compromise to quality and in a few years you will have what you want. 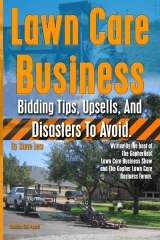 Outside of landscape construction, the prices in this industry have been stagnant for the last 30 years and the typical prices out there are equivalent to sale prices. Good quality reliable service is the only way to separate yourself from competitors. 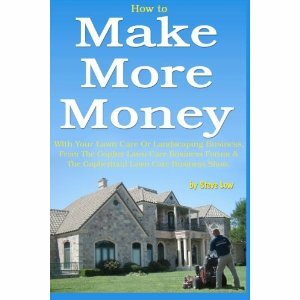 Unless you want to gather clients by doing $30.00 lawns for $20.00, which equates to about a 31% discount on a already low profit margin price, that will cause you more grief then it will save you. When I started out, if I had to work a couple jobs on the side I did. I waited it out and advertised like everyone else did and did my target marketing but I did not get involved in gimmicks. A fourth said “What you can do, raise your price so that you are ‘expensive’, then offer a discount. Win-Win. The problem with offering things for free, is that clients will always come to expect it from you, and will be very disappointed if you aren’t going to continue giving them deals. Some clients will become so upset about the situation that they will hire a competitor - because they take it personal when you will no longer ‘go out of your way’ for them. Regardless if the competitor is cheaper, the pathetic client just wants to reestablish his/her pride. If you do something for free, expect to have the burden of telling the client I can’t offer you this deal anymore in the future…. it’s an awkward situation and it should be avoided. ALSO, clients don’t deserve anything, and they honestly don’t give a crap about your generosity. They only care about how much they can get out of you for free, and will turn on you once you can no longer do free work for them. The more you grow, the less time you have to spare on ‘favors, etc’ - clients do NOT understand this. They think “he used to do this and that, now he doesn’t - screw him!“. I have done ‘free fall cleanup’ promotions for two years. Honestly, I did get a lot of clients, but this year I refused/lost a lot of them because they were headache clients, or they expected another freebie. Lesson Learned: I now take my sweet time when it comes to getting new clients, I’ve never been more picky in my entire life. I target properties that I WANT while declining service for 20 callers per month, because their lawns just aren’t good enough for me. I have a very high standard, and I’m very satisfied with the way things have become. Getting clients is slower, but the clients I do take on make my operation very smooth. Plus, I usually always have that 70% recurring clientele every year, so things aren’t too difficult. 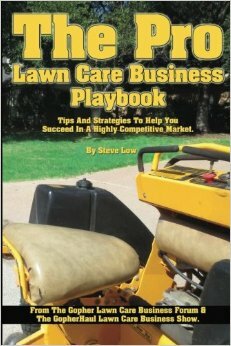 This entry was posted on Saturday, September 9th, 2017 at 12:44 pm	and is filed under How to get, Lawn Care Business, Lawn Care Customers, Residential Customers. You can follow any responses to this entry through the RSS 2.0 feed. You can leave a response, or trackback from your own site.